Chère Eliane ainsi que toute la famille, nos plus sincères condoléances. Baruch Dayan HaEmet. Chères Lison , Elaine , Gilda et à toute la famille Mechaly, mes sincères condoléances . Un choc en ce qui me concerne . Que Hashem vous aide à apaiser votre douleur . Lison, Eliane, Jacob, Gilda and family, Our deepest condolences on the loss of your beloved mother and grandmother. May you be spared further sorrow. Dear Gilda, my deepest condolences to you and your family on the loss of your mother. Jacob My deepest condolences on the loss of your beloved mother. May your memories of her always bring your comfort. Our deepest condolences to the entire family. Our deepest condolences on your loss. May the memories of her be a source of comfort at this difficult time. Nos condoleances a toute la famille. La grande dame qu'etait Mme Mechaly nous laissera un tres bon souvenir. Quand nous nous rencontrions, elle avait toujours un beau sourire, des paroles sages et de belle prieres pour nous. Elle est maintemant pres de M. Mechaly, que D. ait leurs ames. To Jacob and the entire Mechaly family our sincerest condolences on the loss of your beloved mother. A Jacob et toute la famille Mechaly Mes plus sincères condoléances . Dearest Eliane; I was your first friend at Souvenir School, in Chomedey, when you first moved to the country. It was an amazing experience, as I helped you learn English. My deepest condolences on the loss of your beloved Mother. Baruch Dayan Ha'Emet. Leslie. My heartfelt condolences to the entire family. Although I only knew her for a short time she really touched my heart. She was very kind and very friendly. She will be missed I am sure by all who knew her longer. Le dimanche 14 avril 2019 est décédée Mme Estrella Méchaly, épouse bien-aimée de feu Joseph pendant soixante-trois ans, mère et belle-mère affectueuse et dévouée de Lison et Norbert Msika, Éliane et Serge Aflalo, Jacob Méchaly (Heather Polger), et Gilda Méchaly (Gary Perez), ‘Mami’ chérie de Michael et Benjamin Revah; Daniel, Noah et Rachel Aflalo; Michelle, Jessica, Leah et David Méchaly; Stéfanie et Adam Perez, chère sœur et belle-sœur de feue Allegria et feu Albert Azoulay. La famille désire remercier les médecins, les infirmières et les aides-soignantes de l’Urgence et de l’USI cardiovasculaire à l’hôpital général juif pour leurs soins et compassion exceptionnelle. Le service funéraire aura lieu le lundi 15 avril à 15h chez : Paperman & fils, 3888, rue Jean-Talon Ouest. L’enterrement aura lieu dans la section « Memorial Park » du cimetière Baron de Hirsch situé au 5015, rue de la Savane. La shiva se tiendra au 836, boul. Alexis-Nihon, Saint-Laurent. Les dons en sa mémoire peuvent être faits à la Fondation de l’hôpital général juif, (514) 340-8251. On Sunday, April 14, 2019, in her ninety-second year. Devoted wife of the late Joseph. Loving mother and mother-in-law of Lison and Norbert Msika, Éliane and Serge Aflalo, Jacob (Heather Polger), and Gilda (Gary Perez). Cherished ‘Mami’ of Michael, and Benjamin Revah; Daniel, Noah, and Rachel Aflalo; Michelle, Jessica, Leah and David Méchaly; Stéfanie, and Adam Perez. Dear sister and sister-in-law of the late Allegria and the late Albert Azoulay. Estrella will be deeply missed by her family and all those whose lives she touched. The family would like to express their gratitude to the doctors, nurses and staff of the Emergency and Cardiovascular ICU at the Jewish General Hospital for their care and compassion. Funeral service from Paperman & Sons, 3888 Jean Talon St. W., on Monday, April 15 at 3:00 p.m. Burial at the Memorial Park Cemetery, de la Savane. Shiva at her home, 836, boul. Alexis-Nihon, V.S.L. 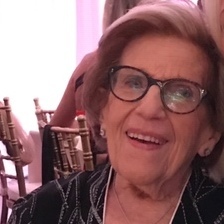 Donations in Estrella’s memory may be made to the “Joseph and Estrella Méchaly Memorial Fund” c/o the Jewish General Hospital Foundation, (514) 340-8251.